Wuyi Rock Tea is a traditional Chinese tea. It is an oolong tea with the characteristics of Yan Yun (flower fragrance in the rock bone). It is produced in the Wuyi Mountain area in Fujian Province, and the tea trees grow in the cracks of the rock. Wuyi Rock Tea has the freshness of green tea and the mellow taste of black tea. It is one of the best oolong tea in China. Wuyi Rock Tea is a semi-fermented oolong, and its making process is between green tea and black tea. The most famous Wuyi Rock Tea is Da Hong Pao Oolong Tea. Many people like to drink Wuyi Rock Tea (Yan Cha) for their fragrance and charm, but they may not know the characteristics of each type of Wuyi Rock Tea. 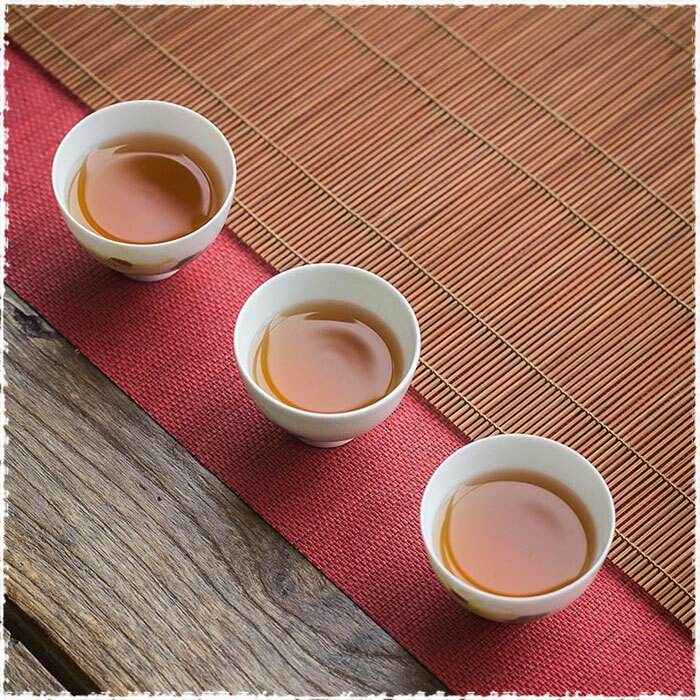 So in this article, we are going to see the features of the three most representative Wuyi Rock Tea – Da Hong Pao, Shui Xian Oolong and Rou Gui Oolong. Shui Xian Oolong is one of the Wuyi Rock Tea varieties, which belongs to clones, small trees, large leaves, and late-growing species. 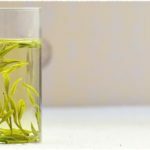 Shui Xian (Water Sprite), a very beautiful name, it feels like that we can smell its fragrance once we heard about its name. Shui Xian is featured by the orchid scent. Compared with Rou Gui, the taste of Shui Xian is softer and more gentle. As a traditional tea in Wuyi Mountain, there is always an old saying that the mellowest tea is Shui Xian and the most fragrant tea is Rou Gui. So the biggest characteristic of Shui Xian is its rich tea liquid and mellow mouthfeel. The aroma of Shui Xian is abundant with prolong aftertaste. The dry tea leaves of Shui Xian are strong and sturdy, glossy dark brown green in color. The main vein of the leaf base is broad and flat. The color of its tea liquid is dark orange yellow or golden yellow, with a refreshing sensation, and taste of Lao Zong (wood and moss aroma). Shui Xian is very infusion enduring, its mellow and thick mouthfeel is deeply loved by tea lovers. The wet leaves are soft and glossy with noticeable red edge. 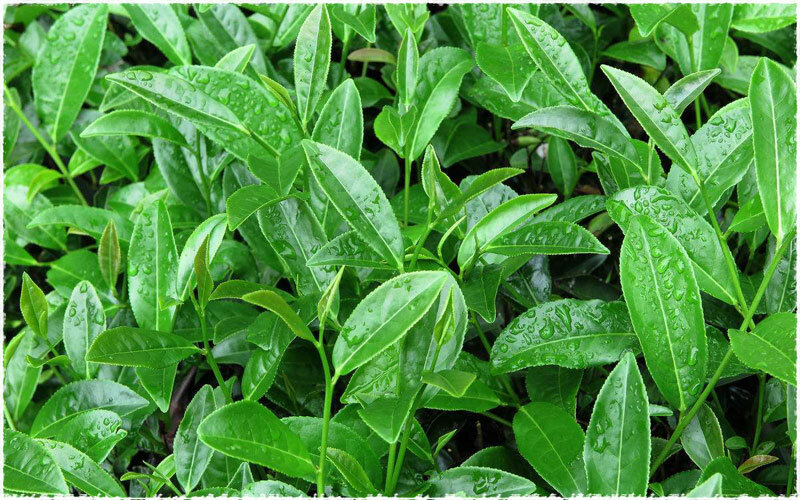 Rou Gui Oolong is a famous Wuyi Rock Tea, which belongs to clones, shrub, middle leaves, and late-growing species. In recent years, Rou Gui has developed rapidly. 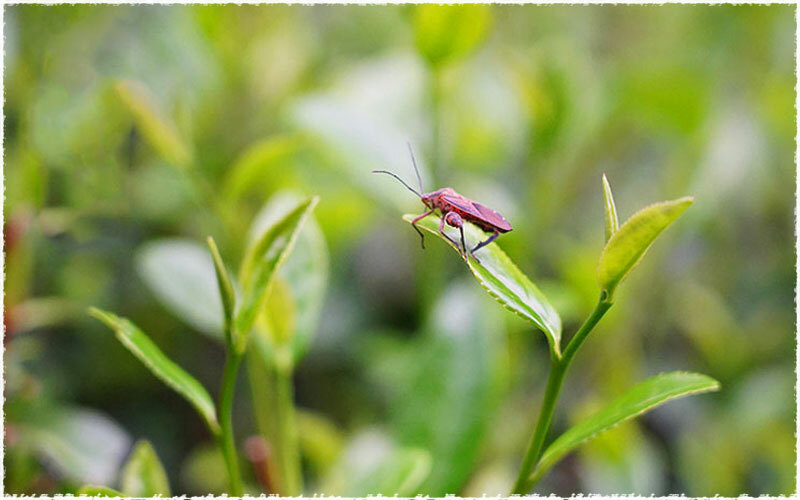 It not only has the traditional taste characteristics of Wuyi Rock Tea, but also is loved by people for its novel and long-lasting high fragrance. In the national tea competition held in these years, Rou Gui has won many gold medals for its distinctive aroma, rich internal substances and outstanding performance. The dry leaves of Rou Gui Oolong are tight and sturdy, glossy dark brown in color with rich cinnamon aroma; The tea liquid is orange yellow or golden yellow, taste rich and mellow, sweet and irritating. Compared with Shui Xian Oolong, the liquid color of Rou Gui is deeper and the taste is mellower with distinct mossy and woody aroma. Therefore, some people may say that Rou Gui is taste like Shui Xian at the first time, because the noticeable wood and moss aroma. While after the third or five steeps, it will taste like Rou Gui itself, the cinnamon aroma, floral and fruity fragrance complement well with each other. 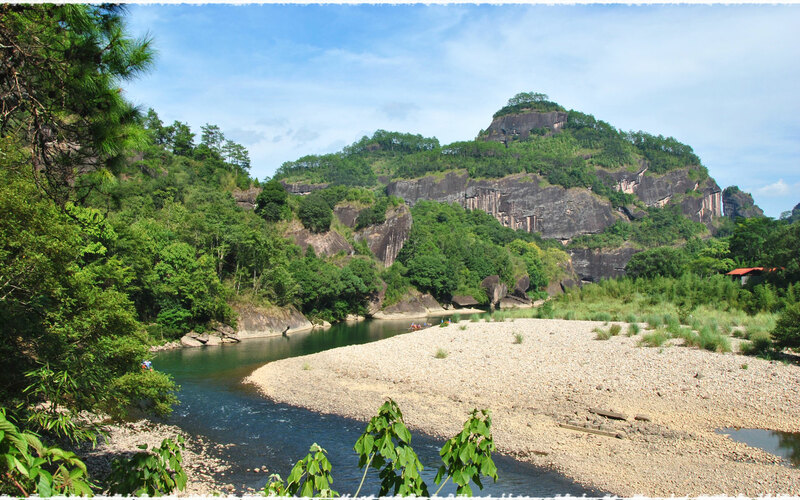 Da Hong Pao is known as the first in the four famous types of Wuyi Rock Tea. Since its tea tree grows in the cracks of the rock, it is known as the “king of rock tea”. 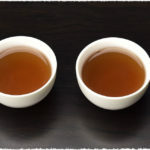 Compared with the other two types, Da Hong Pao is more refreshing and energetic, its flavor, taste and the tea charm are more changeable, and the “yan yun” is extremely obvious. 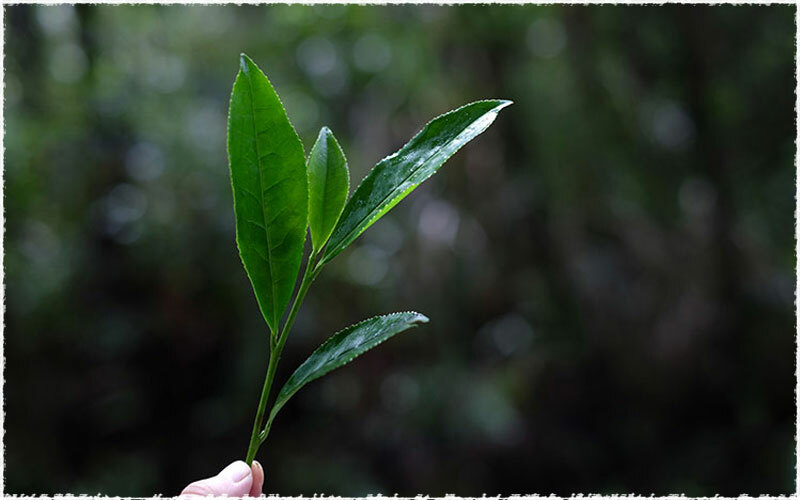 Da Hong Pao is a single species listed in Wuyi Rock Tea. The aroma and taste are all above the ordinary Wuyi Rock Tea. 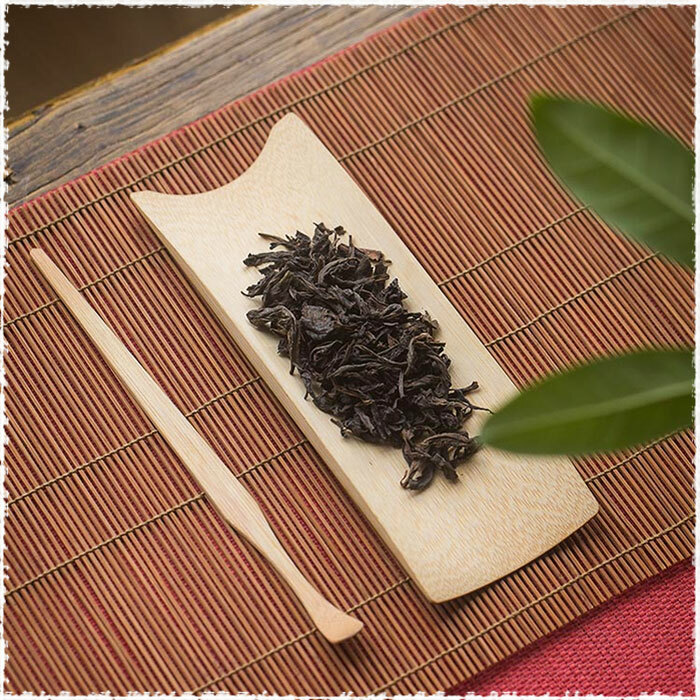 The dry leaves of Da Hong Pao are tight and slightly twist, strong and sturdy. Its tea liquid is bright orange, and the wet leaves are red and green in color. 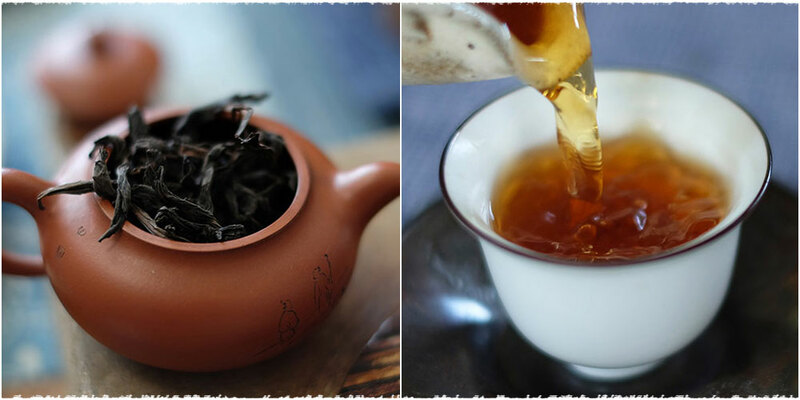 The most prominent feature of Da Hong Pao is its rich fragrance and “yan yun”, which is high and long-lasting. Till now, even the first two teas give you a feeling of vicissitudes, but there is always a consistent taste in it; while for Da Hong Pao, you can’t predict its change, its aroma and taste are complicated and beautiful, the tea liquid is also brighter, softer, sweeter, and with tension… It seems to be a middle-aged man, but he is bright and energetic, so you can’t predict his exact age. Da Hong Pao has an alternative vicissitude. Regarding tea, there are always people who like to compare and tell good or bad. 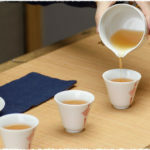 For me, each type of tea has its own unique charm, just like the three teas above; they are like the triple merits of human: Shui Xian is the inner beauty, Rou Gui is the outer beauty, and the unpredictable beauty is Da Hong Pao. For different people, they are different sense of beauty.